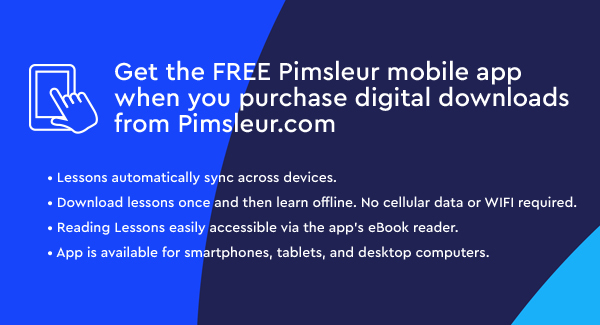 Pimsleur includes 150, 30-minute audio lessons and reading instruction as streaming or audio download, plus 5 integrated Reading Booklets. The best part is that it doesn’t have to be difficult or take years to master. Thirty minutes a day is all it takes, and we get you speaking right from the first day. Pimsleur courses use a scientifically proven method that puts you in control of your learning. 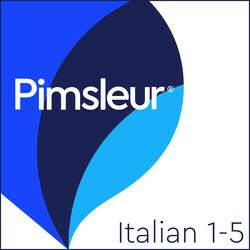 If you’ve tried other language learning programs but found they simply didn’t stick, then you owe it to yourself to give Pimsleur a try. • Quick & Easy – Only 30 minutes a day. • Portable & Flexible – Core lessons can be done anytime, anywhere, and easily fit into your busy life. This program includes all of Italian Levels 1, 2, 3, 4, and 5 – over 73 hours of spoken language practice and 6.5 hours of reading instruction and practice. With this program you start from zero, learning first survival phrases and vocabulary, and eventually progressing to a high-intermediate level of speaking and understanding Italian. By Level 5 the pace and conversation moves quite rapidly, accelerating exposure to new vocabulary and structures, approaching native speed and comprehension. You’ll learn to speak more in-depth about your personal life and emotional state, and be able to create complex sentences using a mix of tenses and moods. The emphasis is on pronunciation and comprehension, and on learning to speak. At the completion of this course, you’ll speak confidently using your wide-ranging vocabulary, and experience the language and culture with a deepening insight into a new world. Reading Lessons are included at the end of Lesson 30 for each Level. These lessons, which total 6.5 hours, are designed to first give you practice sounding out Italian, then to progress to reading for meaning. They also provide extensive additional vocabulary. 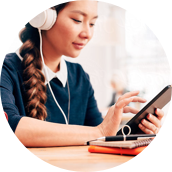 You’ll be reading Italian with the ease and flexibility of a native speaker.